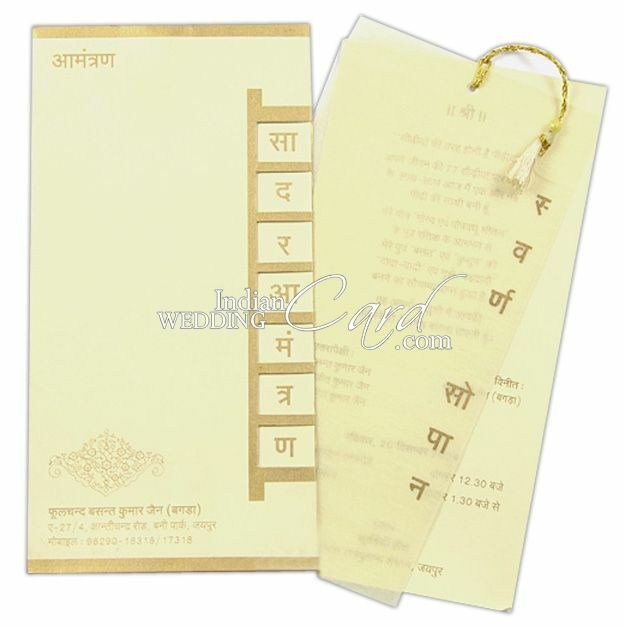 D-4875, Cream Color, Shimmery Finish Paper, Birthday Invitations. Invitation for ‘Swarna Sopan’ – A Hindu Tradition of feast on the occasion of birth of grandson. 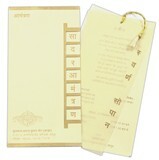 Cream shimmery paper for card with cream wooly paper overlay tied with golden tassel. Envelope has golden ladder design die cut to see text from wooly paper.